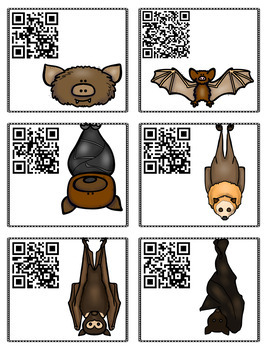 A fun workshop all about bats. Your kids will watch great educational videos and they will get to sing, think, and move as well! This set includes 30 different activities. 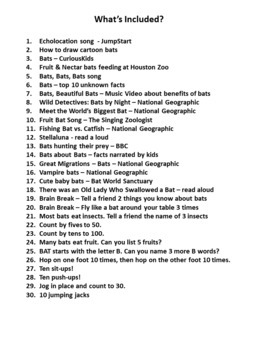 18 are videos that lead to lessons, songs, and read alouds about bats. 12 are brain breaks that pop up in a text message. Brain Break – Count by fives to 50. Brain Break – Count by tens to 100. Brain Break – Many bats eat fruit. Can you list 5 fruits? 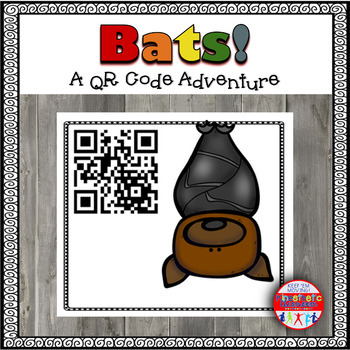 Brain Break – BAT starts with the letter B. Can you name 3 more B words? Brain Break – Hop on one foot 10 times, then hop on the other foot 10 times. Brain Break – Ten sit-ups! Brain Break – Ten push-ups! Brain Break – Jog in place and count to 30. As you can see, there are many cross-curricular activities! You will need either a laptop with a camera, a smartphone, an iPad, or an iPod Touch to use this workshop. If you don't have any of those things, this would be a great activity for visiting "smartphone parents" to use with individual kids. I also have Sing, Think & Move for the letters of the alphabet. Thanks so much for looking. I hope you and your kids enjoy!